Prior to the visit, one of our trainee’s, Jordan, had expressed no real interest in hotel work. However, during the visit he developed more and more of an interest. He asked a few questions while we were there and when the HR Manager asked if any of the group would be interested in working in a hotel, he said yes. The manager asked that if any of the group decided to apply for a position then they should let her know and she would look out for their application and try to ensure that they at least secured an interview. Jordan applied for a casual position within the Food and Beverage Department and, as requested, we let the Marriott know that he had applied. Jordan was offered an interview, did very well at it, and secured the job. As a result of this he has been working there for over three months. 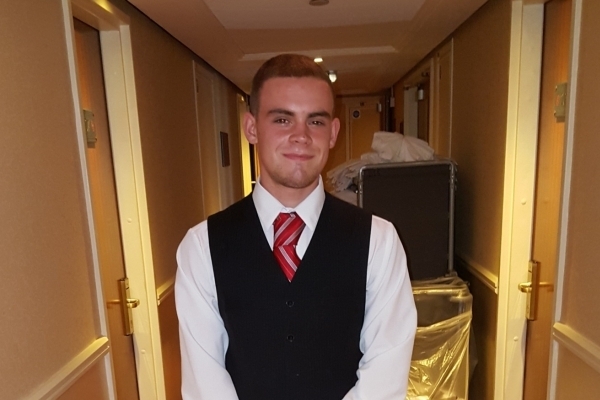 He has also found the motivation and confidence to apply to college where he has been accepted on to the Introduction to Sports and Fitness - SCQF Level 4 course. He has discussed this with his line-manager at the Marriott Hotel and they have encouraged him to continue to work at the hotel part-time to fund his studies. Well done Jordan keep up the hard work and we wish you luck in the future! If you are aged between 16 and 19 and are not in education, training or employment then the shmuTRAIN Positive Transitions course might be for you. For more information call 01224 515013 or email Brian.